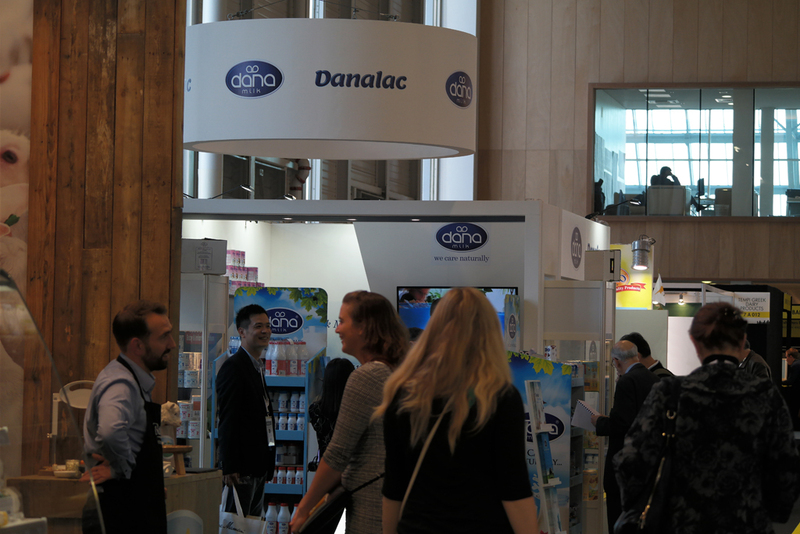 DANA Products Showcased At SIAL Shanghai 2017 In China – This is a wide-angle snapshot of our booth during the show. 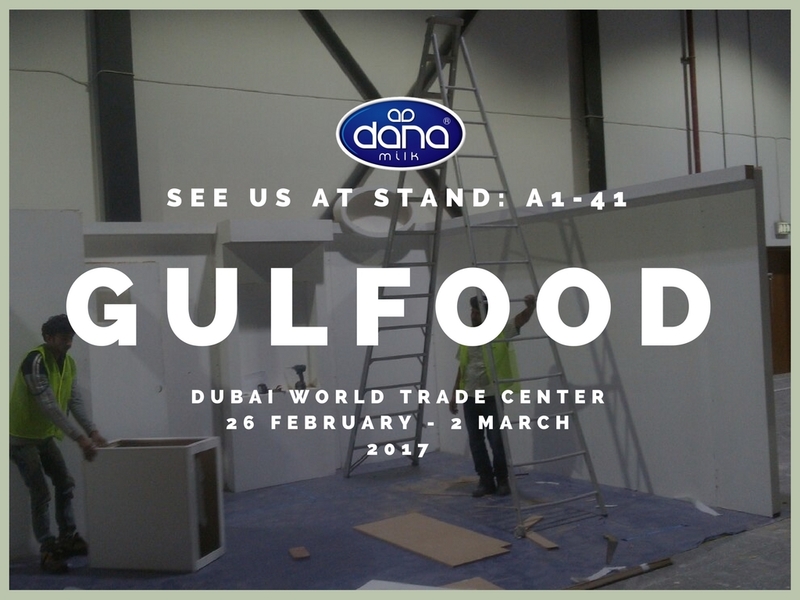 Our DANA band products are clearly showcased on the walls and in side glass showcases. 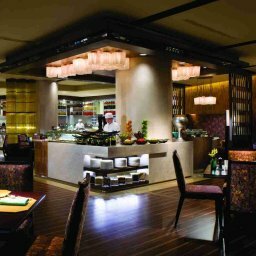 We are starting with Shanghai’s SIAL China 2017 on day one today. The show will continue until May 19. 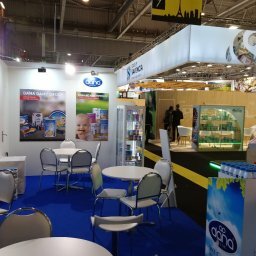 You can come see us at booth E 014 at Hall E5 where all the dairy participants are centered. This hall is located in the middle of the exposition area which is quite accessible to all visitors. 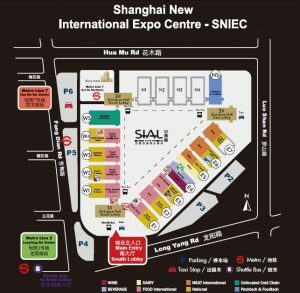 The main floor plan for China SIAL Expo taking place right now in Shanghai SNIEC International Expo Center. 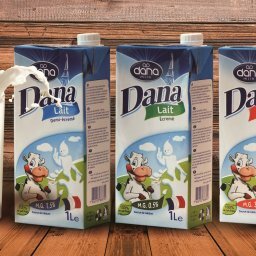 You can see the dairy section right in the middle of the image. 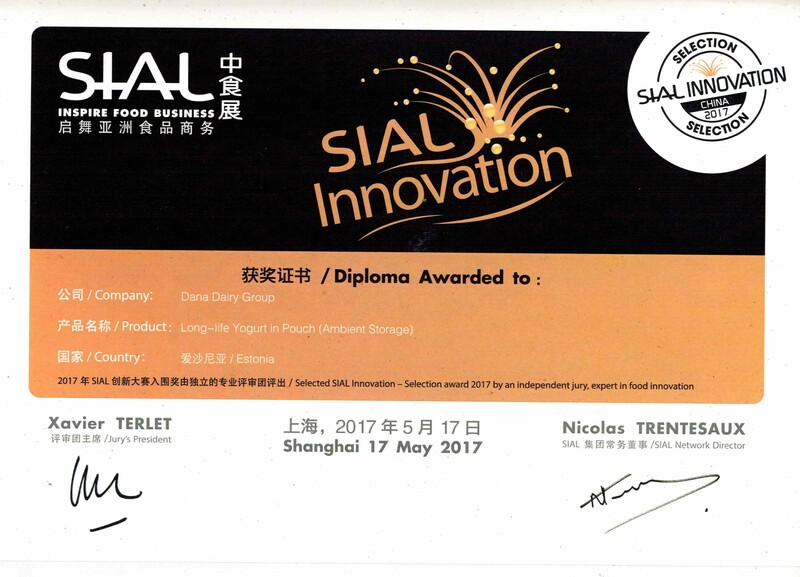 This year SIAL China 2017 is taking place at the new Shanghai SNIEC International Exposition Center. 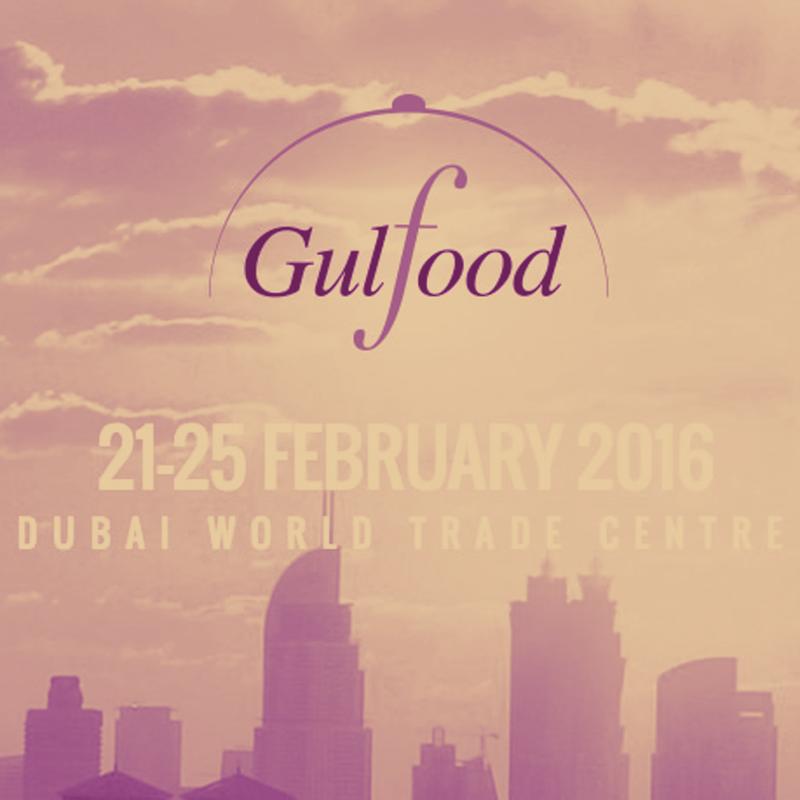 The show is one of the largest food exhibitions that takes place annually in Asia. 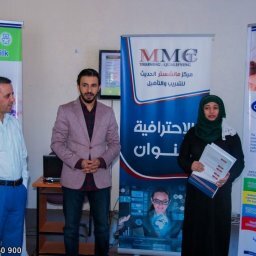 The promoters of the expo say that this year the exhibit has drawn considerably more international exhibitors and visitors. 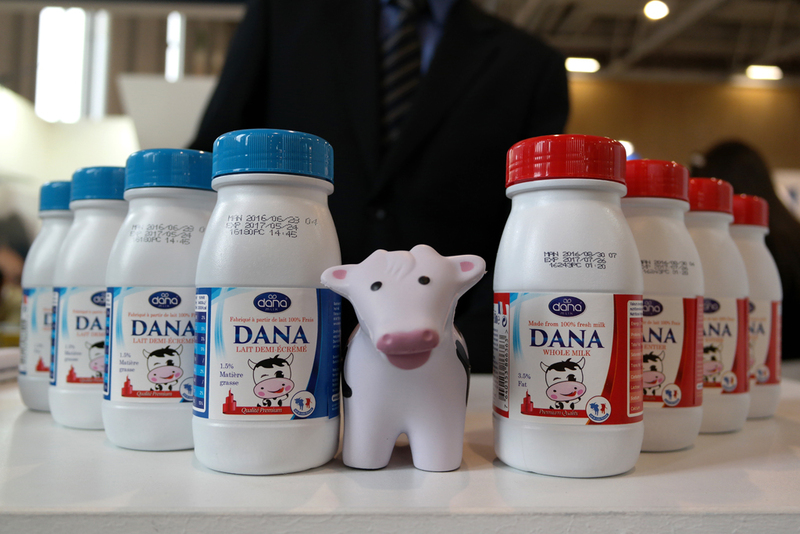 About 3000 participant are displaying their products this year during the show from over 67 countries and also 30 provinces of China. 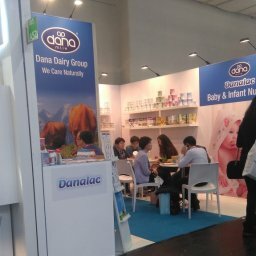 DANALAC Products Showcased At Shanghai SIAL 2017 in China – A customer talking to a DANA Dairy representative at the show. 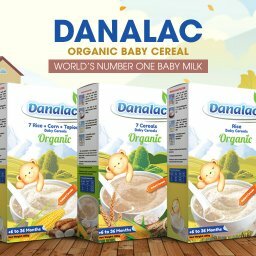 While we do market our world-known DANA and DANALAC brands to the very large market, we are also catering to a larger number of market leader who want advance their activities with their own brand. 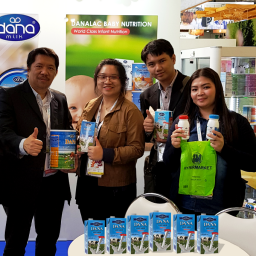 Actually, during SIAL China 2017, one of our brands, Bonino long-life yogurt drink took the first place as the innovative product of the year during this years’ show. 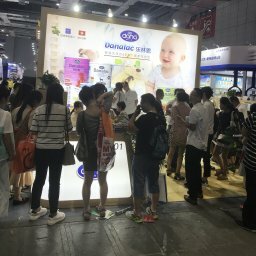 The show helps businesses and producers to discover the most innovative food products provided by SIAL China 2017 exhibitors. 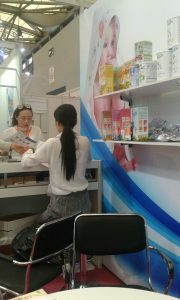 And, it also analyze consumer and market trends with new products in the Asian market. 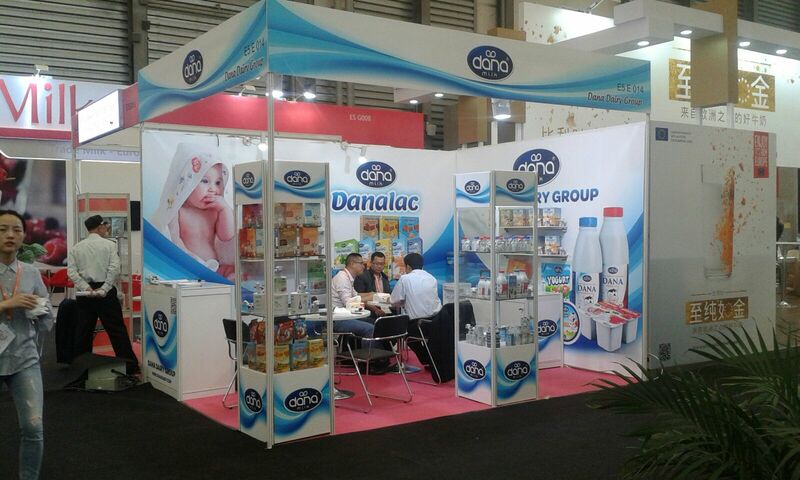 We are quite happy to be in Shanghai these days and participating at the show. It is always good to see our friends in that part of the world. And, we look forward to see some new business in this region and to opportunities to work with new business partners and market leaders.